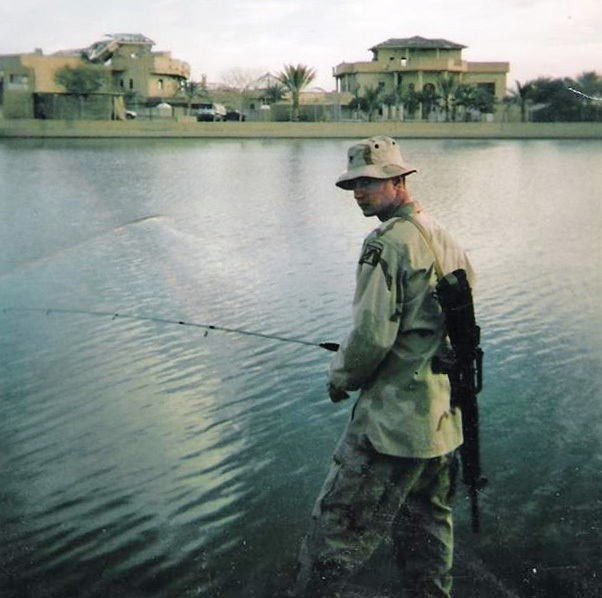 Donald Justin fishing in Iraq. I was born in Hagåtña, Guam but I grew up all over America. My dad was in the military my whole life and then I joined the military myself. I settled down here in the Galveston Bay area after I retired. What branch of the U.S. military did you serve in? I was in the Marine Corps. I finished service there and then joined the Army and was assigned to the 82nd Airborne Division. I was trained as a combat diver and paratrooper. I jumped out of planes and all that fun stuff. I was a machine gunner in Iraq, too – not much use for a diver in the sand. I deployed to Iraq five times between 2005 and 2011. What do you do now that you’re out of the service? I kayak fish a minimum four to five times a week. 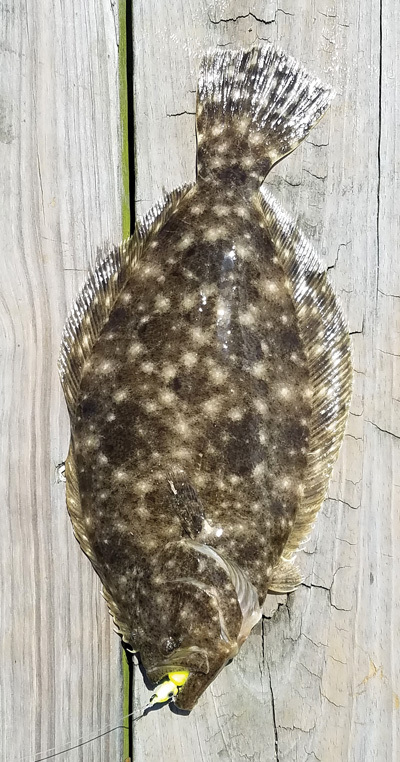 Sometimes I can go two to three months without missing a day of fishing. I like to fish. It’s relaxing when I go out there. 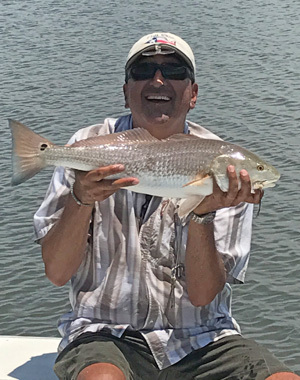 Sometimes if I spot a school of redfish I won’t even cast to them, I’ll see how long I can follow them. But I don’t eat fish. I ate fish every day growing up, a couple times a day. I’ve fished my whole life, starting in Guam. I’ve fished all over the United States and even in Iraq. What’s there to catch in Guam? 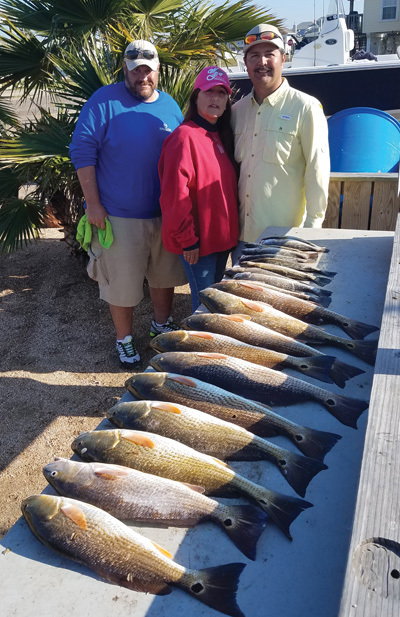 Mostly pelagics but also different kinds of snapper. Guam is smaller than the city of Houston and surrounded by very deep water. 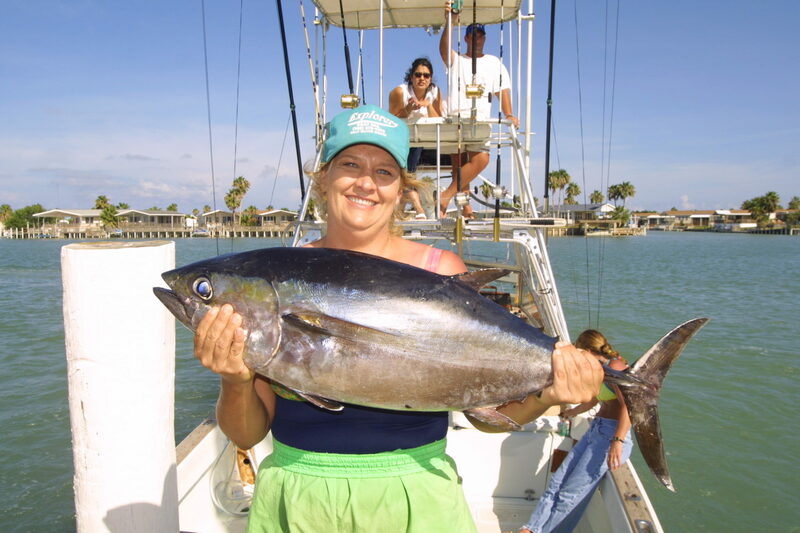 You can fish in 1,200 feet of water from a pier and catch tuna. The Mariana Trench is just off the shore of Guam. What’s your favorite place you’ve ever fished? 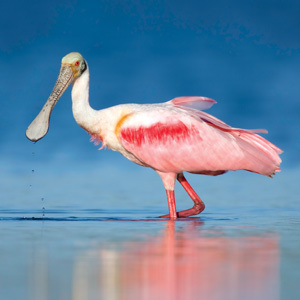 Florida Keys. I go there twice a year. I take my wife and kids and they do “wife and kids stuff” and I go fish. 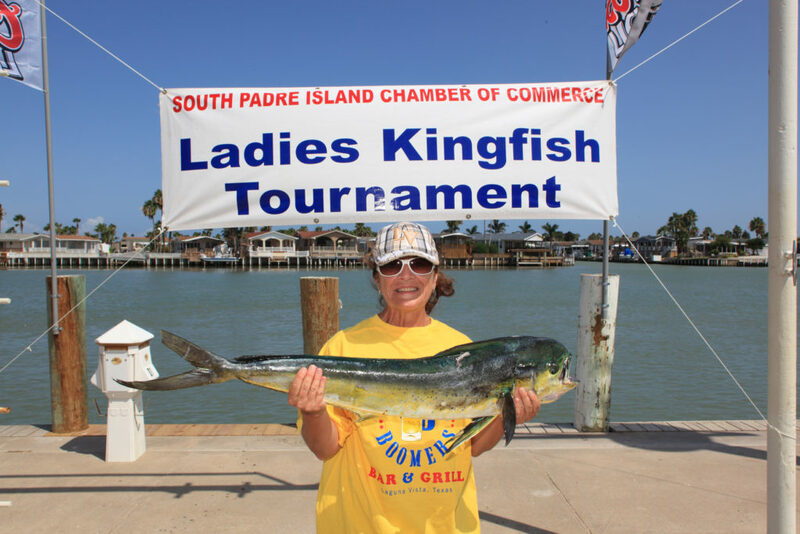 My favorite place in Texas is the Port Aransas area. 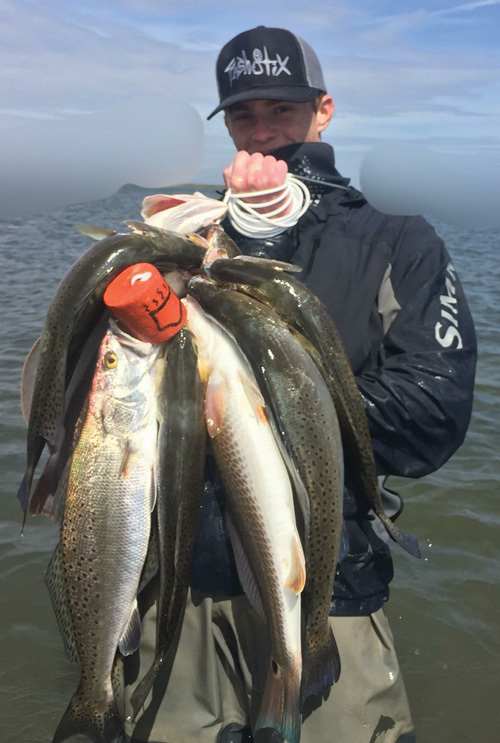 It’s pretty good for kayak fishing because you get other stuff besides just redfish and trout without going six or seven miles offshore like in Galveston. I just picked up a Hobie Tandem Island just to go past the breakers. 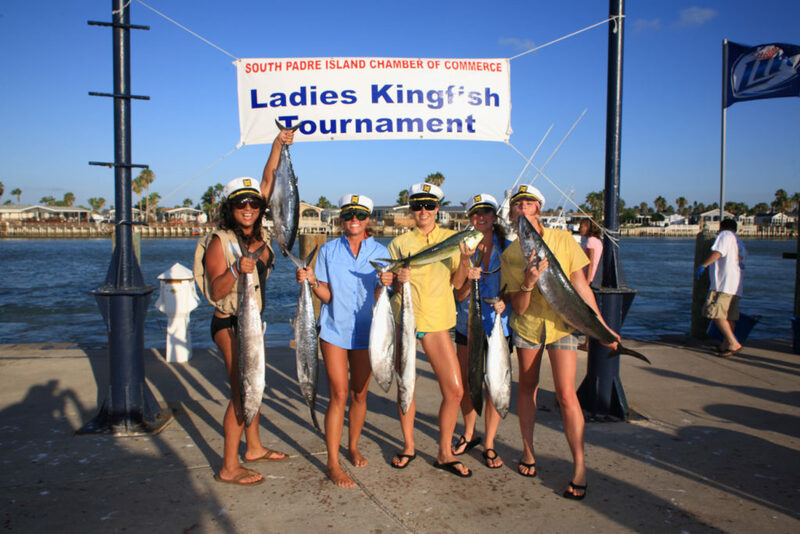 I’m on a mission for kingfish this year. 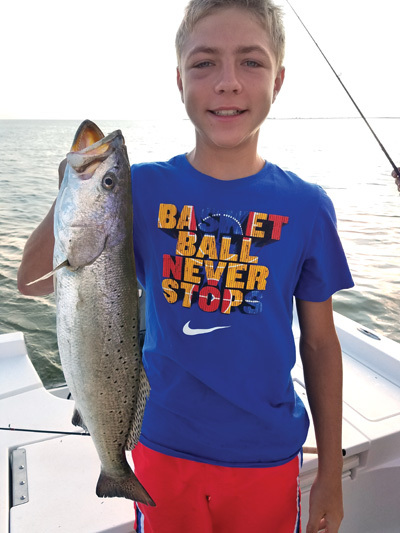 The first time I got my son on a fish. 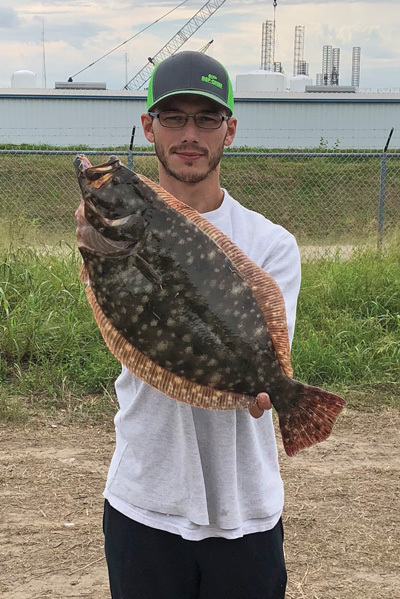 He had just turned 4 years old and it was just a little 15” rat red, but he brought it in on his own. He casted and reeled it in all by himself on a spiderman pole and chickenboy lure. 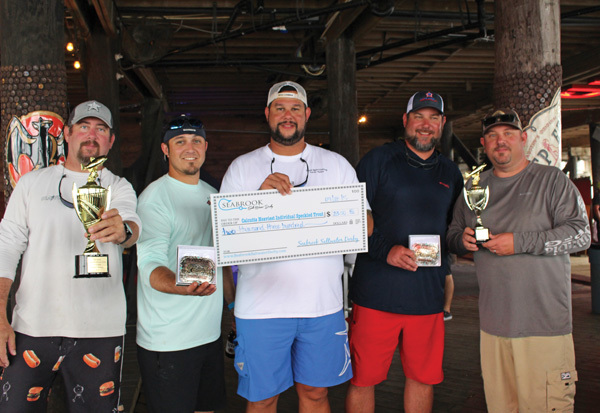 Heroes on the Water provides no-expense kayak fishing trips for veterans. Tell me about your involvement with the community and veterans. 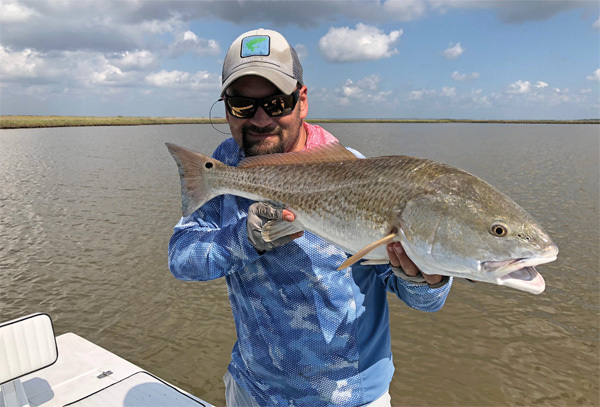 For the past few years I’ve been a member of Heroes on the Water – Southeast Texas Chapter, which organizes kayak fishing trips for active-duty military and U.S. veterans. 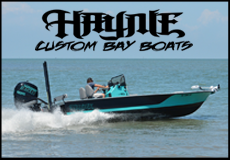 They bring the kayaks and all of the fishing equipment; they supply everything. The only thing veterans need to bring is a fishing license. They started in Texas but there are chapters all over the states. Veterans can relax out on the water for a little peace. They don’t necessarily have to fish; some just paddle around to take a break and clear their minds. Heroes on the Water concentrates on disabled veterans, but all veterans and service members are welcome. I fell into it because it gives you a chance to be normal and meet people who have gone through the same things you have. I go out for every event I can. They need experienced people and sometimes we lack enough volunteers. 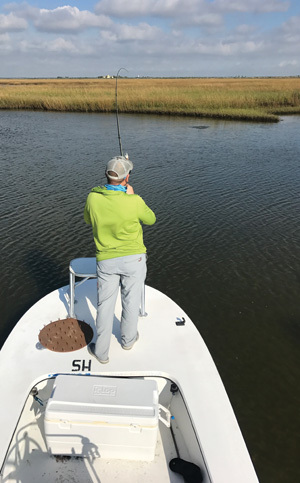 How can a veteran or volunteer get involved with Heroes on the Water? They can visit heroesonthewater.org for information on the closest chapter, and most chapters have a Facebook page. 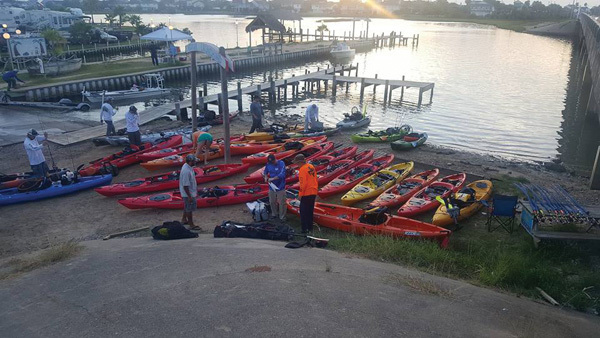 I understand you put your kayak collection to work during Hurricane Harvey. Right on. In what areas did you perform rescues? Friendswood and Dickinson. Boats were awesome for rescue but there were dry patches in some neighborhoods. So boats would tow us as far as they could go, and we would go get people and bring them back to the boats. We even rescued nine border collies that are featured in Alpo ads and commercials. 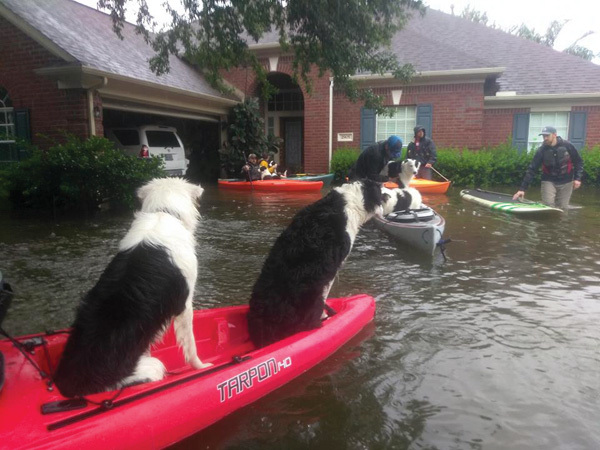 Border Collies being rescued by Donald Justin after Hurricane Harvey. My family was affected and actually my own border collie, Murphy, rode in my kayak that day. It was a real bad time but great to see so many good people come together. Were you affected by the storm? I live in Webster and my whole neighborhood lucked out. Everyone came together though; cooking for people, collecting donations and opening their doors. I had three people that we didn’t know live in our house for four months. Their son has special needs and there wasn’t a place for them. Well, aside from helping others and fishing, what else are you passionate about? Old BMWs. I have 22 various BMWs. I’m driving a 1990 BMW today that’s probably nicer inside than most 2018 models; no stains, rips, tears…everything is flawless. Wow, is that your favorite BMW? No, that’s the only one I’m willing to put miles on. My favorite is my 1991 E30 318is; it was only available for one year here in the States. It’s a slick top, turboed and has everything done to it. I’m giving it to my son one day. (without the turbo). 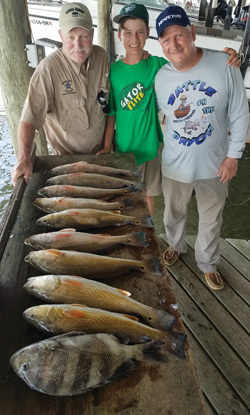 Mike Johnson, Juan and Addie Cruz after a good day with Capt. Dillman. I can’t tell you how many times lately I have heard the phrase: “ I will be glad when this year is over.” For all of us that live on the coast of Texas, this is so true. South Texas coastal residents are still dealing with the aftermath of Hurricane Harvey. Here on the Upper Coast, the destruction left by the flood waters from Tropical Storm Harvey is still daunting. What has become a normal routine is still not “normal” for a lot of us that reside on the coast of Texas. What is normal? 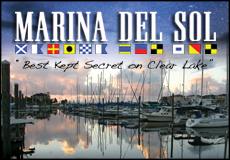 The first two weeks of January is the annual Houston Boat, Sport and Travel Show. In its 63rd year, the show begins January 5, 2018 and runs through January 14. It is the largest indoor show of its type on the Gulf Coast. It features something for everyone that attends. I will be at the Eagle Point Fishing Camp booth during the show. While you are there, please stop by and say hello! 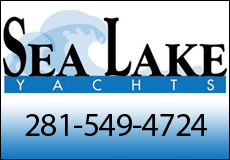 January/February is the time to get your boat ready for the upcoming season. Before one knows it, springtime on the Upper Coast will be here. 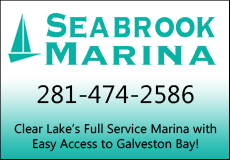 You should perform all your required maintenance on the boat and engine. If it needs to go to a repair facility, don’t hesitate. They get busy and the earlier you get it in, the better chance it will be ready by March. If you are mechanically inclined, order all your parts now. They can become scarce during high demand times. 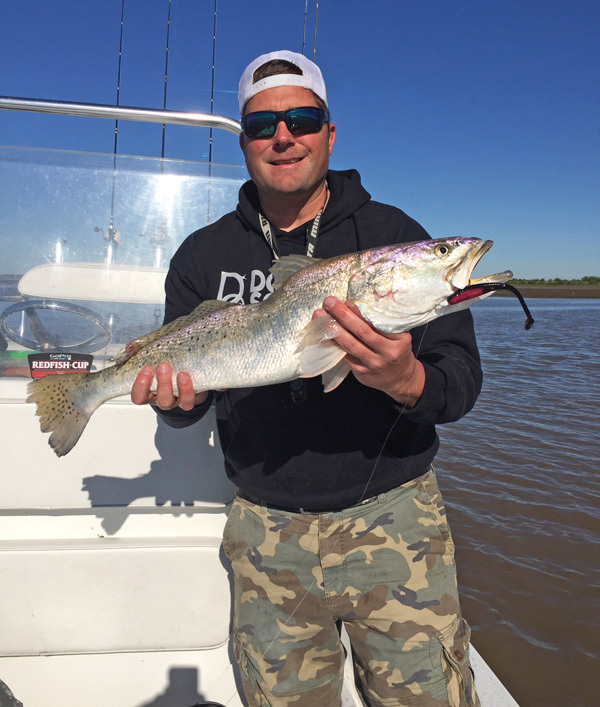 On the fishing scene, the trout population is really good. However, there is a noted decrease in the overall size. TP&W has deemed the trout fishery is good and recommended no changes in the current bag limits this coming year. 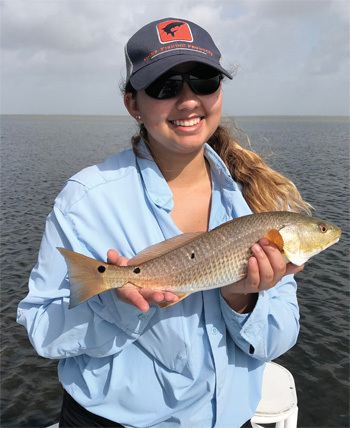 The catches of redfish have been “off the chart.” Redfish have been plentiful throughout our bay system, along with sheepshead and black drum. 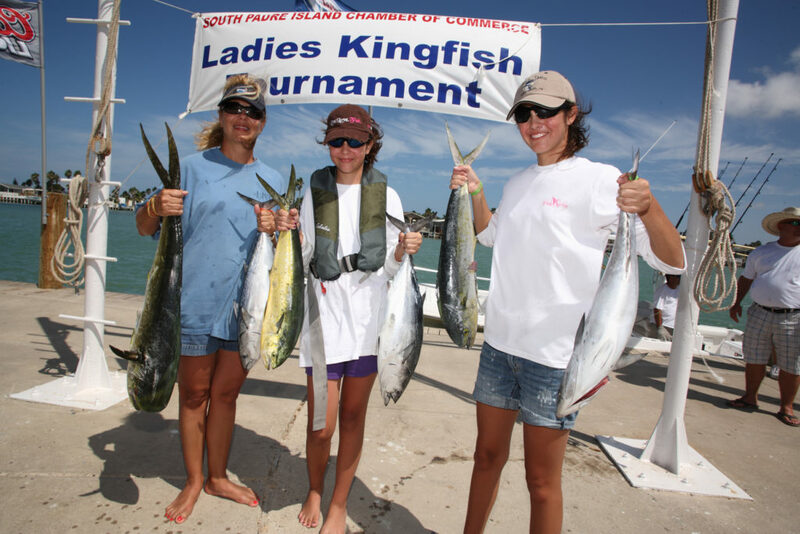 This January/February, fishing should continue to be good, before and after cold fronts. 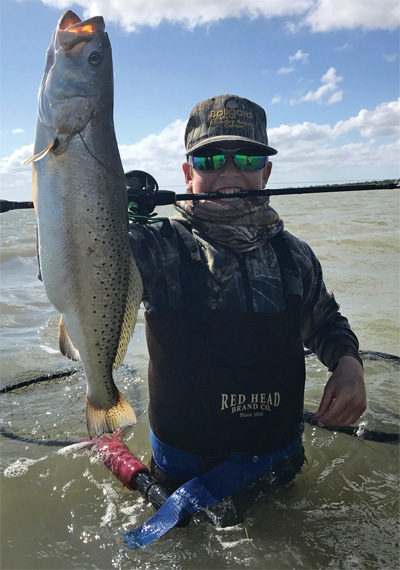 The Northwest reaches and the West side of Galveston Bay will offer your best opportunity for speckled trout and redfish. As the sun rises and sets, this side of the bay receives the most sunlight. 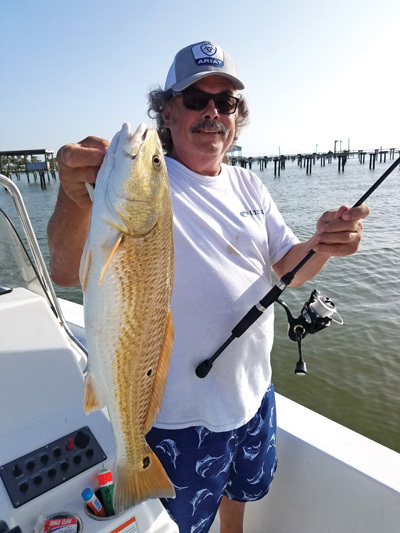 The water remains a tad bit warmer than other areas of the bay, thus holding the fish. Also, during passages of cold fronts, the adjacent water is deeper and offers protection to the fish. 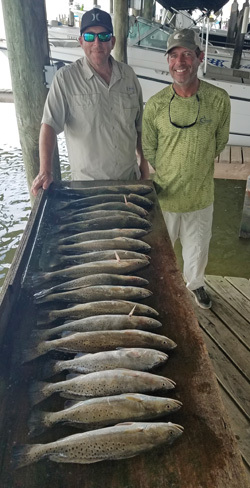 Eagle Point up to the Seabrook Flats, Sylvan Beach, Tabbs, Burnett and Scott Bays will be the places to fish. 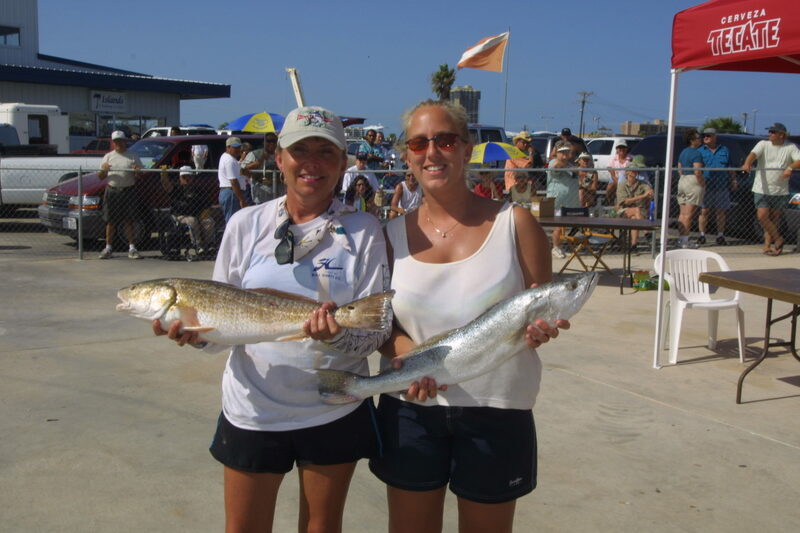 West Galveston Bay will also see its fair share of fish. Live shrimp this time of year will be in short supply. 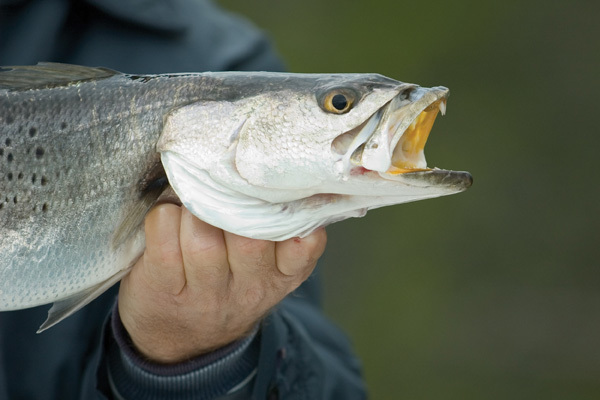 Few, if any bait camps will have some, much less even be open. 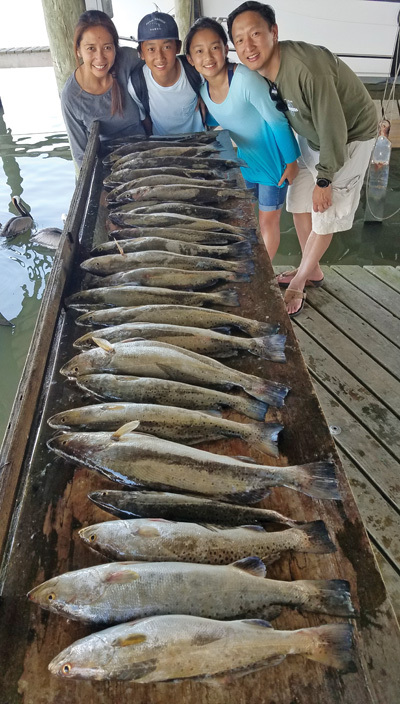 You can always call Eagle Point Fishing Camp to check on their bait supply. Usually, they hold live shrimp all year. Hopefully we will have a “mild” winter, and avoid a major freeze!